SSC Junior Hindi Translator Application Form 2018 (Available) - Apply Here! Home SSC SSC Junior Hindi Translator Application Form 2018 (Available) – Apply Here! SSC Junior Hindi Translator Application Form 2018 (Available) – Apply Here! 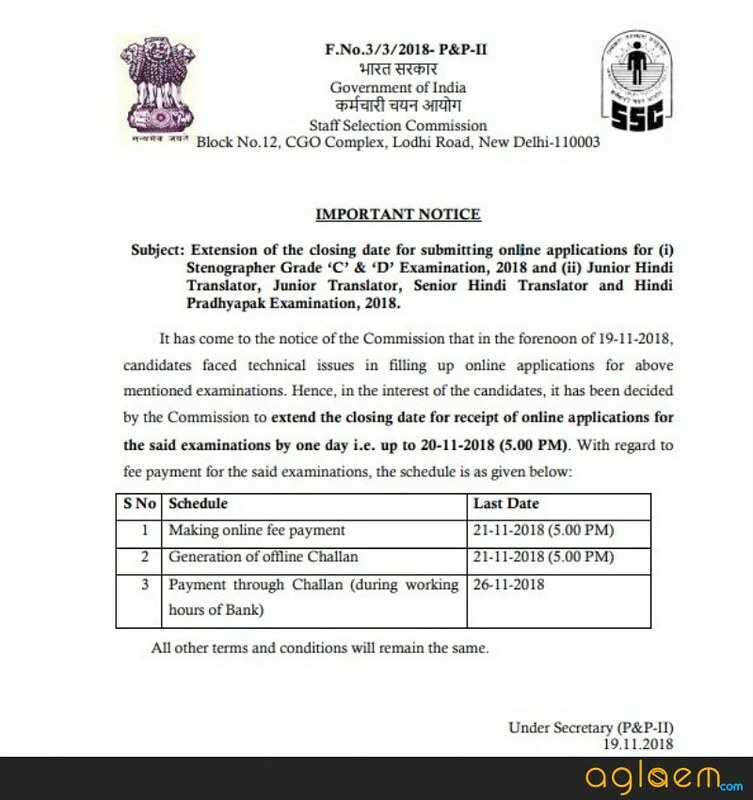 SSC Junior Hindi Translator Application Form 2018 – Staff Selection Commission has extended the date of the closing date for receipt of online applications up to November 20, 2018. SSC has released the SSC JHT Application Form 2018 on October 22, 2018. The candidates can fill the application form through login on ssc.nic.in. The last date to register for SSC JHT 2018 is November 19, 2018. However, for submitting a fee, the candidates are given two more days. Thus the candidates can submit the fee till November 21, 2018, for submitting fee online. If candidates submit their fee through challan then they are given 07 more days to complete the payment. The last date to deposit fee in the bank is November 26, 2018, but challan should be generated before November 21, 2018. Get here more details of SSC Junior Hindi Translator Application Form 2018. Latest: SSC has extended the date of the closing date for receipt of online applications. Scroll down to check the same. The only mode of submitting the application form is online, however, for submitting an application fee, there are two modes available. In order to make application successful candidates have to attach some essential documents with SSC JHT Application Form 2018. If any candidate is found to have provided any false or fabricated information, his/her candidature may be canceled. Apply Online: Click here to fill SSC JHT Application form. Are you Eligible for Filling SSC Junior Hindi Translator Application Form 2018? Nationality – An Indian citizen is eligible to apply. Age Limit – The upper age limit f the candidate is 30 years in age as on 01 January 2018. What is the Application Fee for SSC JHT? Application Fee is Rs. 100/- (Rupees one hundred only). SBI Net banking through credit/debit cards of any bank. Women candidates and candidates belonging to Scheduled Caste, Scheduled Tribe, Persons with disability and Ex-servicemen eligible for reservation are exempted from paying the fee as per rules/instructions of Department of Personnel and Training, Government of India. 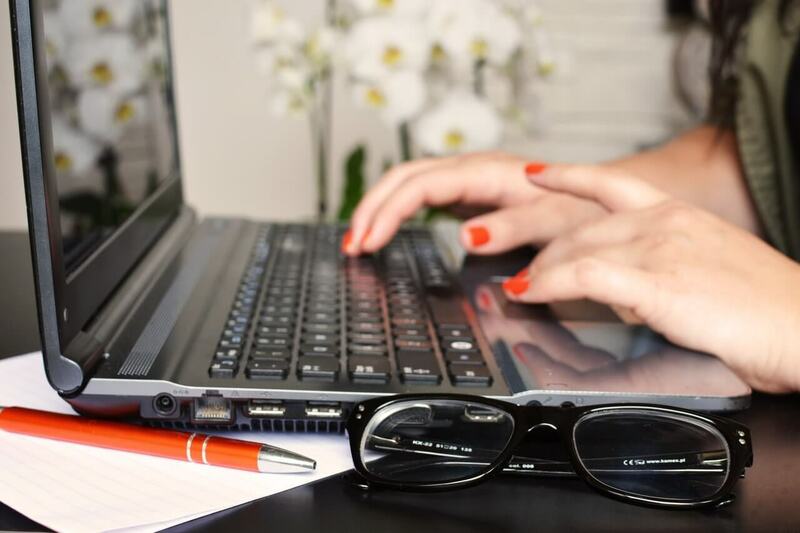 While filling the application form candidates require to attach some documents, and some important fields require to fill by referring, documents. So we are providing the list of both types of the documents here. Debit Card/Credit Card/Net banking details while making Online Payment. The first part is One-time Registration and the second step is the Application Procedure. The candidate can check the details such as how to apply online, important dates etc. You may also use this user guide to learn how to fill the application form. The application will be completed in 4 easy and simple steps. The candidate has to register first by clicking on New User? Register Now. But the above-provided link will skip this step and candidates will directly land to this page shown below. Any other govt. ID if you don’t have Aadhaar card. The candidate will be registered into the computer system of the organization. The candidates are required to select the submit button if you choose the cancel button then the information will not be saved in commission’s server. Now a new window will open with the name already filled in the space. Here the candidates will proceed to log into the system by entering Enter the Registration Number, Enter the password, Enter The test as shown in the image and Submit the details. The application form will consist of 21 mandatory fields followed by photographs and signature of the candidate. The data/ details filled in by him earlier, at the time of registration Photo process, will automatically be filled in the respective fields in the application form. Only the remaining fields have to be filled by the candidate. The candidates will be required to fill in here the details and some details will be prefilled, the combined graduate level exam, post preference, educational qualification starting from 10th class onwards, details of work experience, details of signature and photograph uploaded. The candidate will be required to check all the details entered by them. And after the final submission, they will proceed to payment. The payment can be made in online mode and in offline mode as well. The candidate who chooses online mode will be able to make the payment via net banking or SBI Credit/ Debit card. However, If the candidate selects an offline option, then-candidate gets a fee deposit bank challan form from the server. After obtaining the challan form, the candidate will be required to go to the nearest State Bank of India Branch and deposit the fee in cash. Post completion of the bank formalities, Bank will generate an MIS Report and send it to the Commission. The students will get two copies one is to be sent to the authority and one is a student’s copy to be retained by the candidate. The candidates who want to edit or make any changes can do so by clicking the view/edit registration option anytime provided just below the New Registration. All you have to do is enter your date of birth/ registration number/ password and enter the text as shown. You can edit your details now where the edit option is displayed. Are you applying for the post of the statistical investigator? Do you possess EQ for the post of the statistical investigator? Are you applying for the post of AAO? Do you possess EQ for the post of AAO? Whether you belong to a religious minority community? The candidates who will fill the application form in time, SSC will issue them the admit card for the paper-I, as there is two-step in the selection process. So first it will issue the admit card for the Paper- I, secondly it will issue the admit card for paper-II to the qualifiers of paper-I after the announcement of paper-I result. SSC will issue the admit card on its official website, i. e. ssc.nic.in. to download the admit card the candidates will require the registration number and password at the official website.